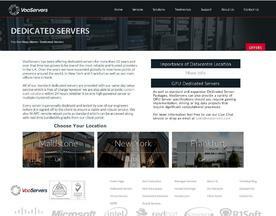 UK Dedicated Servers offer the user full control over how and where their websites are hosted. UK Dedicated Servers are often located in Data Centers and offer more freedom over other common forms of hosting solutions such as Shared Hosting. The main benefits of choosing a UK Dedicated Server are that the user gains high performance, stability and control, though this often comes at a price reserved for websites that receive large volumes of traffic. 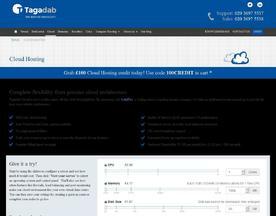 If you’re looking for similar online services to a UK Dedicated Server, try our Cloud Hosting or Shared Hosting online services. 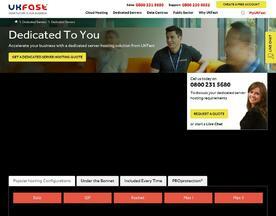 We offer fully managed, enterprise-class dedicated servers hosted in our UK datacenters. We’re committed to providing very high levels of service, reliability and performance to all hosting clients. 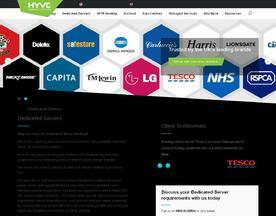 Hyve provide only genuine HP dedicated hardware with Cisco and Juniper networking products. Currently in our 10th Anniversary year VooServers are specialists in UK dedicated servers. With high performance at a low cost and backed by our fully UK based support team you can be sure your services rest in the hands of a team of experienced professionals. Next-generation dedicated servers housed in our PCI-compliant, ISO-accredited data centres and backed by 24/7 UK-based support. Experience total reliability with our 100% uptime guarantee and industry-leading SLA. RH & Co. IT Ser..